Consignment gift Is it possible, to sent the picture directly to the recipient as a gift? Yes of course, there is no problem. Just wearing under your personal data is a diffrent delivery address and we will sent the Package directly to the disired recipient. The Bill will ( of course ) issued in your name and sent to you by email. Image Is my image good enough? If your images have a minimum size of 1.500 pixels on the longer side this equals to roughly a 2-megapixel camera. This is perfectly adequate for sizes up to 120 x 80 cm and ensures excellent quality of these products. With a resolution of 6 megapixels (roughly equivalent to 3008 × 2000px) images are available in larger sizes up to wallpaper in top quality. If you upload a photo it automatically checks whether the quality is sufficient. Dpi means "dots per inch", points per 2.54cm. A picture with 300dpi has 300 points within a length of 2.54cm. What are the resolution pictures printed? All of our high-resolution prints will be produced. Excellent Quality was reached if your image for printing on canvas with 150dpi and for all other products containing 300dpi. All images are printed in RGB color space. This is much larger than CMYK color gamut. Therefore we able to print your images faithfully records. Packaging & Shipping How are packed artworks? It is very important to us that your artwork is intact when it arrives. Therefore each order is individually packeged. We don´t use standard packaging and can therby ensuring that each order perfect suitable packaging questioninh. If your order has left our shipping department, you will naturally informed by email. Then it usually takes one day and your Ordering is yours. How long does the delivery? If we received your payment, your images are produced and usually sent within 10 days. We ask for your understanding that on holidays The higher order volume can emerge longer delivery times. If you buy multiple images, you pay only one shipping (the largest image). The shipping depend on the size of your picture ordered format. A detailed overview can be found under "shipping" at the top of the screen. Is the package insured and what happens when a shippment damage? Every order is carefully packaged and is sufficiently insured against damage. In case of a transport damage your image can replace, it is necessary that you not accept the damaged package or ask the driver to confirm that the damaged package only conditionally accept. Payment How do I know when my payment received from you? If we receive your payment, we naturally inform you by email and your order will be released for production. 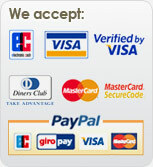 It is possible to pay with cash in advance, debit, credit card and PayPal. Price Are the prices including VAT? All our prices include VAT images. It is all images, in the European Union are sold, VAT will be charged. If you´re a delivery address outside the euopäischen Union indicate prices are without VAT. displayed and expelled. orders outside the European Union are subject to the tax and customs regulations. It is recommended that you contact your local customs office to contact. We would like to point out that cross-border deliveries may inch authorities opened and inspected them. Processing Are the pictures sealed? Yes all images are special sprayed by us with a UV-protective sealed. So tey are optimally protected against ultraviolet rays, moisture and scratches. Security Will my personal information disclosed? Obviously, the security of your data at our highest priority. FineArtPrint.de are never gave any data to third parties. Your data are exclusivly used to process your orders and contact form FineArtPrint.de. Will my uploaded image in your image catalog? No, of course not, your personally uploaded image only visible to you and will not be offered in our image catalog.